The Crew is an odd game. I have found my self enjoying it for a majority of the time, but small issues somewhat kill my experience. 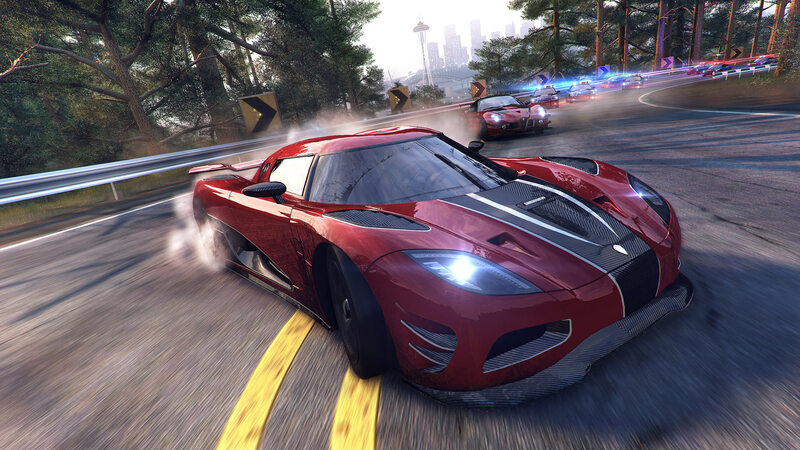 The Crew is not a bad game by any means, but it’s also not a revolutionary game that will change racing games forever. While The Crew is host to a rather impressive map size, it’s also host to some illogical things. For instance, I am a mile away from my target, going an average speed of 120 MPH, yet it takes me 2 minutes to get to my objective. Also, the map isn’t exactly… geographically sound. The Crew at the end of the day has some very interesting things going for it, but it also suffers from a lack of logic and variety. While The Crew has many issues though, I can’t help but still have some fun with it. You are Alex and your brother is the leader of the 510, a ruthless driving gang! Your brother Dayton is gunned down right in front of you and you are framed for the murder by a corrupt FBI agent. 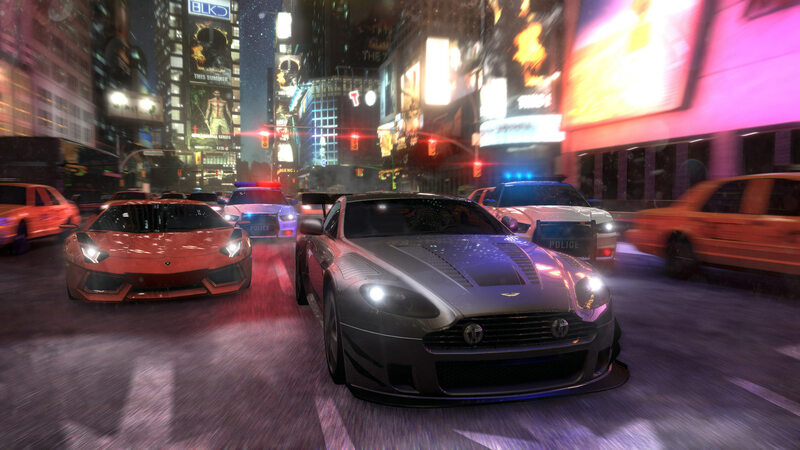 5 years have past since Dayton’s death and your incarceration, but this is a racing game, not a prison game. So an agent named Zoe offers to help you get revenge on Dayton’s killer while you also take down the agent who framed you. Yeah, sounds interesting right? Well, prepared to be disappointed. As the story in The Crew after this point does little to make sense or enthrall the player. The Crew does not shine brightly with the story of the game, as at certain parts it just down right makes no sense, while at many other points it is just uninteresting. Many of the cutscenes in the game are an exchange of 2-4 lines of dialogue followed by racing or exiting a race. I don’t see story as a generally major component of a racing game, but in The Crew they practically push it down your throat. Not all of the story in The Crew is bad though, it isn’t without interesting moments and its cinematic scenes are rather impressive. As a bulk though, the story in The Crew isn’t something many will go insane over. What is something to go insane over is the size of the map in The Crew. It’s huge and it’s packed with stuff to do. 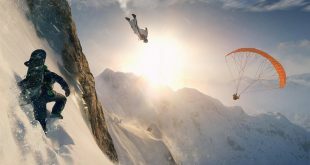 From skill challenges to hidden car parts, The Crew’s map is 1,900 square miles of not so geographically sound terrain. While the map is big it isn’t the exact size of the USA, as many would expect, I mean imagine that, it would be hell driving in The Crew if it was the actual size of the US. What’s odd is that they only decided to have 6 major cities though, each one has been rather compressed as well. I also find it odd that the map is so level restricted, you are VERY restricted throughout the level process, want to go the West coast? Congratulations! You have to wait until level 30. want to go to Detroit or Chicago! Well you are in luck, as that is where you will spend the first 5-10 hours of your gameplay. This is due to the mission structure and really the award base for challenges. When you do certain challenges they will either yield a reward useless to you or ones you can’t use for some time. While they also produce the majority of your upgrades, I find it odd that they don’t scale whatsoever. I find it hard to believe that they would make large sections of the map completely useless to the player, unless you are completionist of course. An interesting thing about the map and it’s sheer size, would be the amount of Skill Challenges around the map. These range from precision, weaving, escaping, jump, and a few others. What’s not interesting is just how seamless the World ISN’T when you encounter these events. You can jump in to them rather quickly, but at the end you are welcomed with a “Continue” or “Retry” option, continue should be seamless and allow you to continue driving, but it doesn’t. It brings you to a random black screen and completely stops your car. It’s odd, as these events shouldn’t just stop your car, the retry one works, but this is if you hit continue. It just goes to a black screen and stops your car completely, why? I am unsure, but it bothers me. 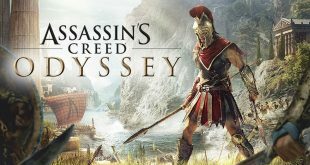 It takes away from the overall immersion from the game and the seamlessness of the World. It’s just a decision that bothers me, as it really makes no sense. I see no reason for them to do this, yet it has happened at the end of EVERY challenge I have completed, and there are a lot. What’s even more odd and annoying is their need to include oncoming traffic while you are doing these events. I can’t tell you how many precision challenges were ruined by semi trucks going through my objective, it happens far to often and at times it makes me want to throw my controller. These may get old after a while though, I have caught myself purposely skipping these challenges while on the road for a prolonged period of time in The Crew. Something to be talked about in The Crew would be the factions. As The Crew offers PvP/PvE modes for factions. 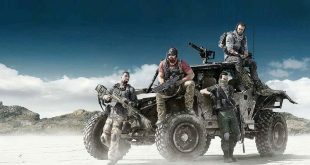 You have choice of The Wolves (Mid-West), The Eagles (East), The Crocodiles (South), The Snakes (Mountains) and The Bears (West) The missions for the factions in The Crew are fairly interesting as well. These missions have some hefty rewards, but they also require you to have some patience and a ridiculous amount of time. As the faction missions in The Crew come out to be races that take you cross country and take over an hour. I mean, if you have the patience and the time, go for it as the awards are great. The issue with this being that The Crew offers no rewind system like Forza, so in The Crew if you do one of these races and are on the last leg, but mess up some how… yeah you’re screwed. Luckily this hasn’t happened to me on The Crew yet, but if it did I can think of a special place where The Crew would go and no, it’s not a special place in my heart. While the PvP isn’t anything special, they are just races. It is fun to race against people, but the modes in the PvP in The Crew aren’t anything special. Although if your faction wins for the month you have a chance at some pretty cool rewards. The Crew doesn’t do much to offer customization sadly. Everyone is Alex and more importantly, the car customization is lacking. The Crew offers some customization, but it doesn’t do much to help you explore your creative side. Speaking of exploration, due to mission structure, you really won’t be able to explore the majority of the map for some time. It seems they were trying to stick to the whole MMO formula too much in The Crew, while main missions bring you there eventually, there isn’t much you can do over there if you decide to go off track. As the challenges and missions are locked due to level or will give you something you can’t use. It’s an odd thing for The Crew to do, but it does it regardless of that fact. It really hurts the exploration factor of The Crew, although I suppose it makes The Crew feel more like an MMO. The MMO section of The Crew is rather lacking as well though. Make no mistake, it is an MMO. Although it doesn’t do enough to make a name for itself in the MMO realm. Mechanics wise it’s more or less just an MMO with cars, it does nothing to truly stand on its own feet. The Crew also has a weird system, while some missions somewhat promote Co-Op, if you are in a lobby with people who do not want to play with you… well, good luck. Because for some odd reason The Crew will just keep inviting the people who have rejected you. Why The Crew doesn’t extend the invite to one of the other thousands of people playing? I do not know, but it will continue to invite the 4-10 people around you… despite the fact that they have declined it every time. 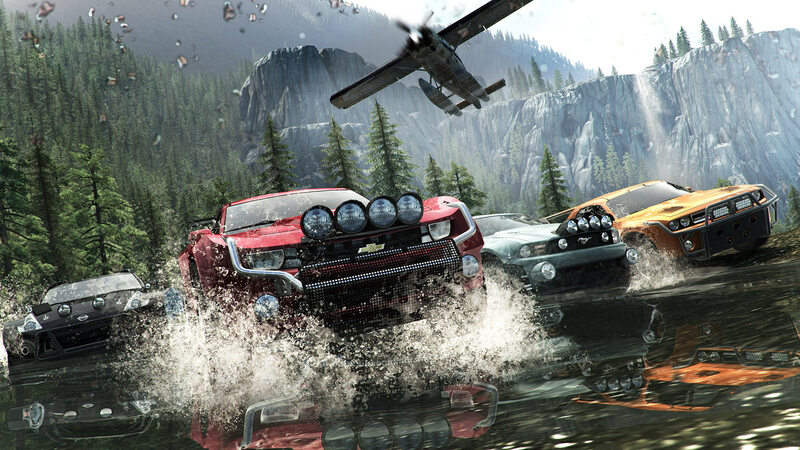 The Crew is best played with friends and a crew. This makes sense, as many MMOs are like this, but The Crew doesn’t feel like most MMOs in terms of presence. It is fun to play alone, but with an always online emphasis, the game is best played with a crew of friends. The Crew has good visuals, but that’s all they are. The buildings in the game look fine and all, but they lack the detail that you would see in normal games. The Crew isn’t going to be known for having spectacular building detail, no one expected it. What’s odd in The Crew is the lack of detail on some very important things. One of these things being in first person in your car is meh, as the rear view mirrors in The Crew aren’t hosting some special view as they should. 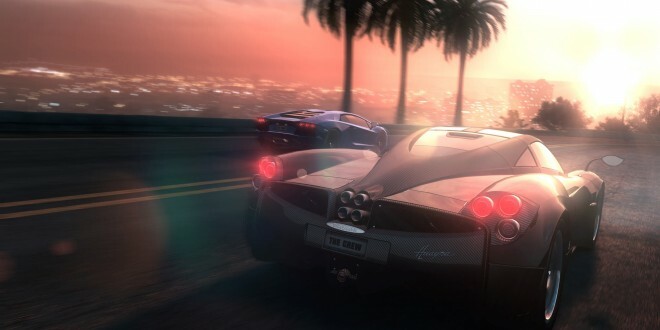 The rear view mirrors instead offer the player a blurred vision of what is behind them, so fans expecting to actually see out of your mirrors, good luck as they are defective and currently no vendor in The Crew sells you them. The map does offer some very interesting places, but there aren’t many beautiful spots where you can pull your car over and just look in awe. Sadly in The Crew it just isn’t something I have had happen as of now. Also, The Crew features some interesting wildlife and humans. The AI for these creatures aren’t… exactly smart. I’ve seen a herd of deer trying to jump over a truck, but instead they were just freaking out and pushing the giant truck in to the middle of the road. 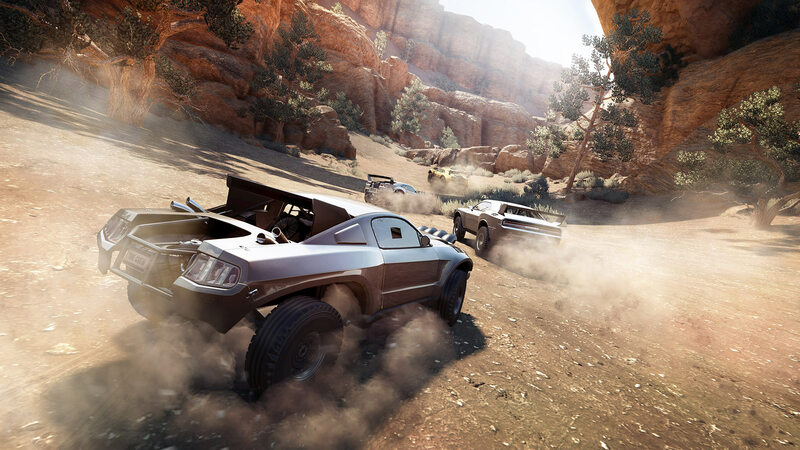 The Crew’s one place to truly shine would be in its driving mechanics, right? Well, no, it sadly does not. The Crew has taken an odd balance between arcade to semi realistic at points. It is odd as in The Crew I feel very mixed about this. I have myself feeling like I am playing an arcade version of a racing game and then all of the sudden it turns somewhat… semi realistic. By semi realistic I mean that my car handles something somewhat appropriately, like hitting a deer. While other times I will hit a deer and then spin out of control or flip. The Crew is a hit or miss on that. While the general driving handles well enough, it somewhat takes away from the immersion of the game when random things like that happen. The Crew’s handling is just very clunky and could use some work. While The Crew isn't anything special, it isn't a horrible game. It just lacks very simple things that can turn the experience from okay to an excellent one. The best thing The Crew truly has to offer is the sheer size of the map, but even that is somewhat bogged down by the restrictive mission structure placed in to the game. The Crew isn't a beautiful game that will capture the heart of every player that touches it, but it does remain enjoyable. It's an odd experience, but that doesn't make it a bad one.